You have decided that it is time to put your house on the market. While planning your resale, you notice that your kitchen is decreasing the overall value of your home. You have made the decision that in order to get a full return-on-investment, you want to remodel your kitchen for resale, and we are here to help. With our top six kitchen remodeling tips, we hope to help you make back your return-on-investment and sell your home to the perfect buyer. Let us get started! There is no shame in asking a professional for their expert advice. Even your real estate agent can be a great resource. They understand the current trends and what buyers are looking for in a home. Before you begin your resale remodel, talk to a few industry professionals. With your color scheme and your kitchen design, the simpler you go, the better. Try to not be too trendy in your design, or it may go out of style and try to not go too bold in your color scheme or buyers may be hesitant. You want to decide on a simple, neutral design that can be appealing to all homebuyers. 3. Spend Your Money Wisely. In a resale, there is no need to spend an extravagant amount of money, because odds are that you will not see a high return on investment. Sellers remodel their homes in order to sell the house and make back the money that they put into it (maybe even more). Open floor plans are great for families and buyers that want to entertain. Most buyers are looking for an open floor plan for their living room and kitchen area because it is more welcoming. If you are not set on the idea, ask your realtor or contractor if it is a good idea for your home. Depending on the types of buyers, you may decide to go with an open floor plan. If there is one thing that you should take away from this article, remember that buyers want granite countertops. Do not skimp out on your kitchen countertops, because we assure you that the buyers want to purchase a home with beautiful counters. This may be the one area of the room that you decide to splurge. Homebuyers like uniqueness. What makes your home stand out from the other houses on the market? If you do not know, try adding a special feature to your kitchen. From double ovens to a built-in wine cooler, the ideas are endless. Are you in need of new floors for your remodel? Let us help you choose the perfect flooring to complete your kitchen. Stop in and visit one of our showrooms to learn more. So what will it be? Beautiful ceramic or rustic natural stone? When making the final decision on what type of flooring material you are going to install, it involves much more than merely how the tile will complement the interior’s design. In addition, style, functionality, durability, and safety should be taken into consideration. Deciding whether to go with ceramic or natural stone can be a tough decision. That is why it is so important to understand the disadvantages and the benefits of each flooring material. To help you gain a little more understanding and make the ultimate decision, we create a guide filled with the must-knows. Let’s take a look! Ceramic tile is often installed in common areas of the home such as the bathroom and kitchen. Ceramic flooring materials are evaluated and rated by the Porcelain Enamel Institute. Standard ceramic tiles have a PEI rating of Class 1 to Class 3. This means that the flooring can handle the moderate impact. The quality and durability of ceramic flooring are mostly dependant upon its classification. So the higher the rating, the more foot traffic the tile can stand. If you desire a flooring material with a distinguishable design or pattern and color, you are likely leaning towards ceramic tile. Ceramic flooring is available in a wide array of rich hues, textures, styles, and sizes. One of the best features of ceramic tiles is that it can capture the look of various flooring styles such as hardwood and stone, making the decision process easier. Plus, ceramic tile is easy to maintain. Its smooth texture allows for sealant and cleaning products to be evenly distributed over the surface. It is also more resistant to scratches and scuff marks. Plus, you will find ceramic floor materials are an affordable option for consumers. Ceramic tiles are often manufactured in production runs. As a result, there can be size variations between lots; therefore, you will want to make sure that the caliber and lot number are the same throughout your order. Resurfacing and repairing ceramic can be a bit difficult, so keep that in mind when considering installing ceramic in high-traffic areas. Natural stone flooring encompasses marble, slate, granite and travertine floor types. Marble, limestone, travertine, and limestone are derived from compressed fossil remains while granite is an igneous rock. Since natural stone floors are composed of natural materials, it is super durable. It is resistant to harsh weather and extreme wear. Unlike ceramic, natural stone is considered to be an upscale flooring material because the look cannot be simulated with synthetic materials like most flooring types. Plus, installing some sort of natural stone floors will increase the overall value of your home. e to get a consistent or uniform look. Maintaining natural stone floors is not easy, the unevenness makes it difficult to clean and apply sealant. 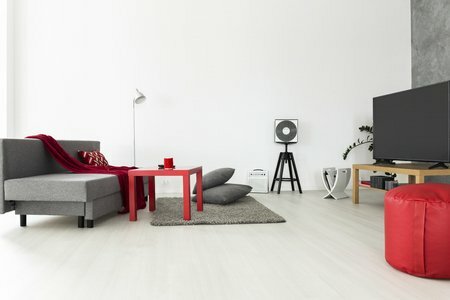 With all flooring comes advantages and disadvantages, you will need to determine what features are most important to you and see if they outweigh the cons. If you have any further questions on the selection process, our staff is ready to answer all of your questions. Please do not hesitate to call or visit us for more information. We look forward to the opportunity to work with you. It is time to think beyond your basic, white vanity and instead opt for something with a bit more pizazz. 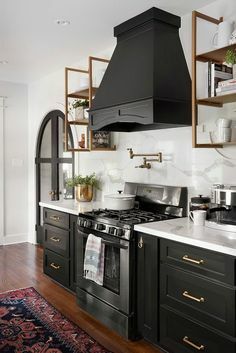 Invest in cabinetry that features hardware with creative designs, a bold, eye-catching color or architectural overlays. You can play it safe by purchasing a vanity that seamlessly blends into your bathroom design or choosing something that stands out from your bathroom’s vibe and features it as a statement piece. Unlike other areas of the house, there are not many opportunities to incorporate fabric into your bathroom decor. So when the opportunity presents itself, we recommend jumping on it. You can use fabric in the bathroom through your choice of window treatment. Using window treatments that showcase a unique or vibrant fabric will definitely take your space to the next level. If you are determined to use more fabrics in that bathroom, you can also do it with a chic shower curtain, hand towels, or bathmats. Venture out beyond the generic black and white patterns and create an accent wall in your bathroom by putting together shower tiles that feature a vibrant hue and/or material. You can have your accent tiles installed on either side of the shower wall or have it wrap around the entire shower in a single border. Tile can play a big role in a bathroom’s design and uniqueness. 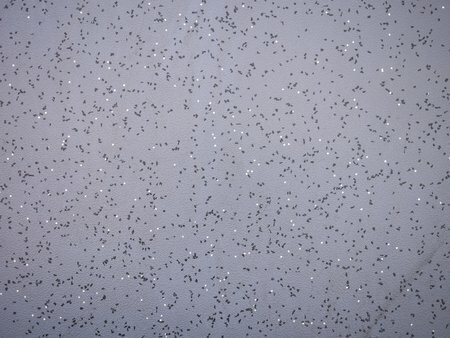 Of course, we cannot forget about the bathroom flooring. Instead of a blank, dull space, invest in flooring that uses an intricate pattern or design. Choose flooring that has a nice mix of tones, colors, and shapes can create beautiful detail and design. Spruce up your space by upgrading your current sink and/or vanity. With a fresh twist on your current design, you can add a new flare as well as a complementary design element to the rest of your features. For more tips and tricks, be sure to check back weekly. Thanks for reading! When it comes to picking the right floors for older adults, you need to consider a few variables. One, not all floors are alike, and they can all have different positive and negative attributes. Two, some key factors to consider are maintenance, absorption, mobility, slip-resistance, and comfort. We put together a list of several flooring options to consider. 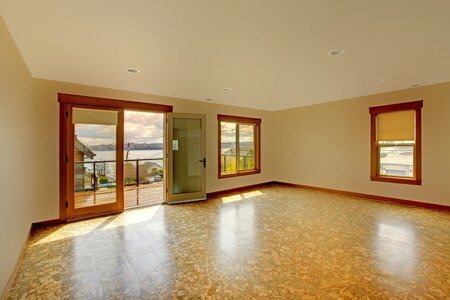 You will want to decide what you are looking for out of your floors and what will be the best option for you. Let’s take a look! Cork is an excellent choice. This floor is a low-maintenance solution to consider putting into your home to accommodate seniors. It offers superior sound absorption and thermal insulation. It is slip-resistant as well as a perfect resolution for wheelchairs, walkers, and canes. 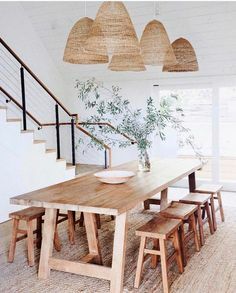 Cork flooring has a little more cushion to it to which can help with falls; however, also being so soft, it can easily be damaged. Though it is not people’s first thought to add to a home, rubber flooring is an excellent floor for absorption. This is one of the safest options you can get because is both slip-resistant and soft on drops and falls. This comfortable solution can come with a little more of a price increase and has the drawbacks of not a large option of stylish residential designs. 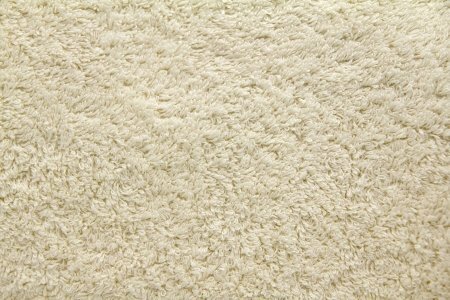 Low-profile carpet is good for comfort and provides added protection against getting hurt from a fall. It may be a little bit more demanding on maintenance and cleaning, but it creates a cozy look within a space. Another downfall of carpet is that it may not be easy for maneuverability for individuals who used wheelchairs, walkers or canes. This choice is excellent and provides an easy-to-clean solution. It is highly resistant to spills and looks great as well. Luxury Vinyl flooring is great for dust control and extremely durable. It may not be the friendly option for falls due to its relatively hard nature. Try to avoid tile flooring because they are injury-prone and do not always offer slip-resistance. Deciding the perfect flooring for elderly folks and homes can be challenging. Weigh out the pros and cons of each flooring prior to your decision. Each floor has great benefits to help you make your solution. If you need further assistance, please do not hesitate to contact us. One of our expert sales staff members would love to assist you. Start off by picking one light color that you plan on using throughout your entire house. This does not mean that you cannot embrace different colors or that you have to make each room look the exact same. 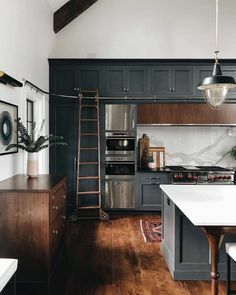 Just think, using unique, different colors in each room of the house can create a look that is not cohesive. Imagine a home with a red dining room, blue living room, and a pastel pink bedroom. The home would feel blocked off instead of continuous. To help create a continuous design, be sure to incorporate the one color you have chosen throughout your entire home. You can implement light colors without drowning the entire space in them. In a neutral based room, you can let your accessories make the statement. Use artwork, upholstery, and textiles in lighter colors than the rest of the space to help accentuate the color choice. Perhaps the easiest way to introduce color is through a statement wall. Instead of going all in with the color, you can test the waters with one wall. Before you paint your living room a light and bright green, how about taking the color for a test drive by using it in your guest bathroom? Experiment with light colors in smaller rooms just to see if you would like it. Plus, as a rule of thumb, going super bold with your color choices in the bathroom is always an acceptable design choice. The best way to use light colors is as an accent in unexpected places. For example, you can add splashes of color with accessories on the bookshelf, coffee table, or a window sill. This adds both excitement and depth to a space with a pop of color. Thanks for reading! Be sure to check back weekly for more expert tips and tricks.